Don’t Feel Guilty at Pizza Studio! Homeunlimited toppingsDon’t Feel Guilty at Pizza Studio! If you haven’t noticed there’s a new pizza man in town and he isn’t your traditional Domino’s delivery boy. 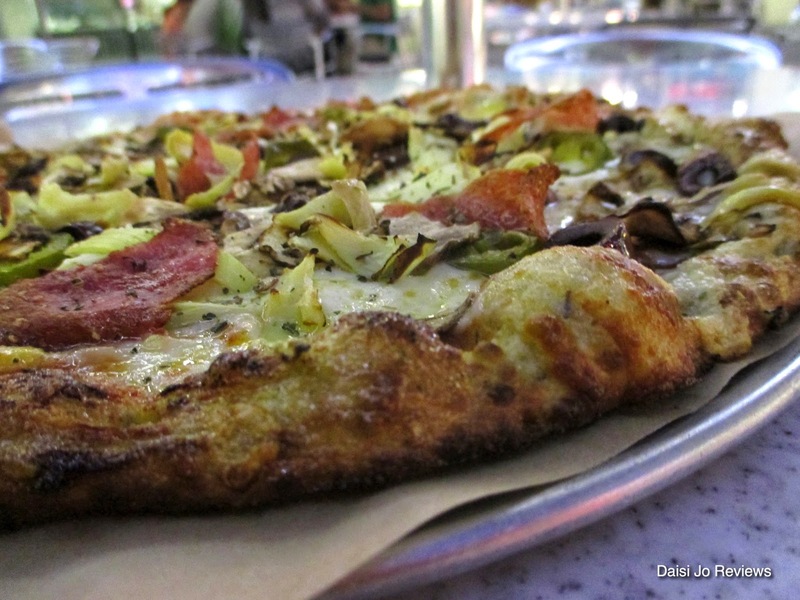 Pizza Studio locations have been popping up all over the west coast from Alaska to the Gaslamp District. Pizza Studio is a Los Angeles based create-your-own pizza concept with franchises everywhere between the Pacific and the Atlantic. I once went to California Pizza Kitchen and felt like Sh** the rest of the day but each time I go to Studio Pizza, I feel satisfied and not weight down in a carb coma. I first took notice of Pizza Studio a few months back when I was on a mission to curb my hangriness. It’s like the “Chipotle of Pizza” (which is really a thing)! I visited the one at the 7th & Fig Plaza in DTLA. Like any other location, I got to create my own masterpiece without getting my hands dirty. Literally someone else preps and bakes your very own pizza creation just like your burrito at Chipotle and your sandwich at Subway, except Pizza Studio gets a bit more fancy with it. You get to choose your own crust, sauce, cheese and an unlimited amount of toppings for $7.99 for an 11-inch personal pie which is bigger than the average personal pie at about 6-8 inches. The toppings aren’t your typical economy class topics either. 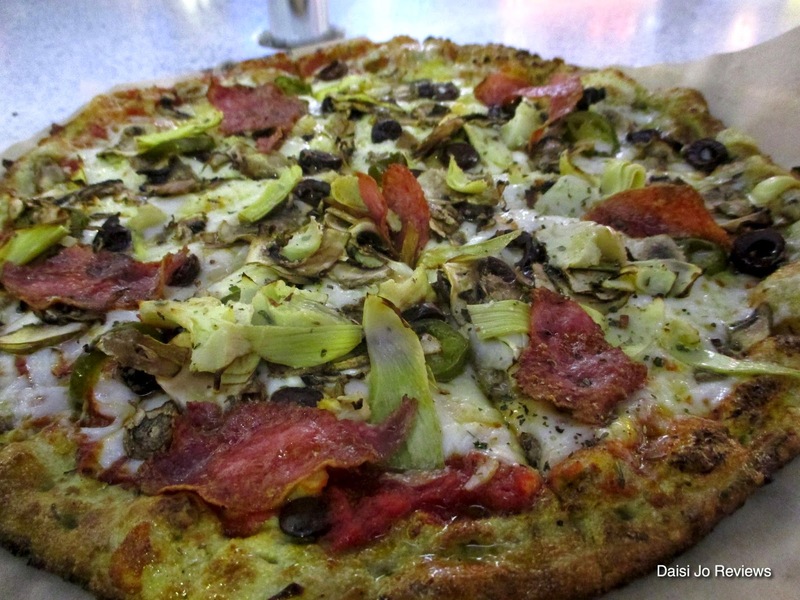 They are premium toppings like truffle salt, banana peppers and genoa salami…mmmm, yummy! Now I have to admit that I feel a bit like a kid going through the line in pointing to every single topping saying, “I want that one! And that one…. what’s that? Oh, yes! That one too please!” but it is really fun seeing it all come together, disappear into this magical conveyor belt oven and come out the other end two minutes later all crispy and delicious. Honestly, it actually tastes “healthy" or better yet, “healthier" than any other pizza chain I’ve ever had. Meaning that I didn’t feel guilty after I ate it probably because they offer healthy thin-crust options in place of carb-loaded ones stuffed with cheese and crazy stuff like potatoes. The place is also really clean. The location I went to is in a cafeteria setting with lots of other fast food brands but considering how many people this Studio Pizza location serves a day, it is pretty neat and organized. I didn’t feel gritty or like someone was going to cross contaminate my food on accident. Studio Pizza seems to be pretty stern about the attention to detail and uniformity which helps keep the customer experience clean.